Home makeover fans, we have a treat arriving just before Thanksgiving. 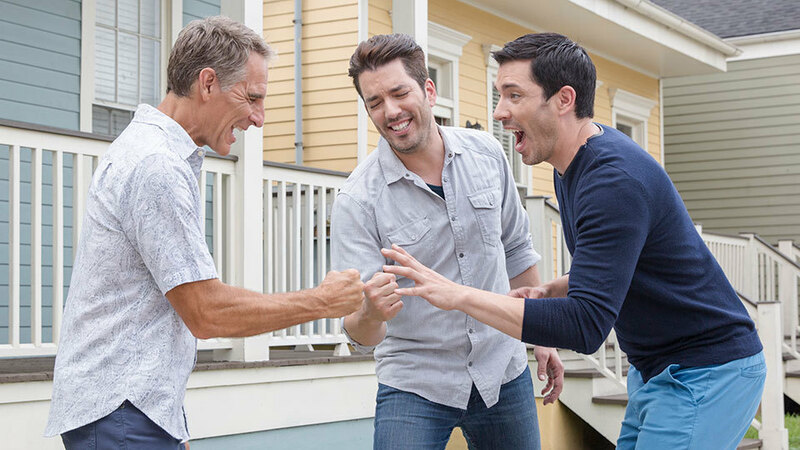 The Property Brothers Jonathan and Drew Scott are back with a new series, Brothers Take New Orleans. This time, they’re in the Big Easy on a special assignment: Each brother will renovate one half of a double-shotgun house, competing for who adds the most value. They’re working with St. Bernard Project, an organization that rebuilds homes and communities after disasters — like hurricane Katrina in NOLA. Believe it or not, 16,000 homes remain unlivable. But it’s important work. Each time a home is turned around into a livable space, it revitalizes the neighborhood around it, encouraging other people to improve their properties and eventually encouraging businesses to move in as well. OK, so most of us don’t get to have Drew and Jonathan come over and transform our home. The best we can do is mine them for tips on how to do our own renovation projects — or rather, what not to do. Here’s what they told SheKnows are the worst mistakes homeowners make. “You never want to over-renovate before selling,” Drew says. “If you are looking to sell your home, talk with your real estate agent to find out what the value would be with those renovations. Then go back and look at how much it’s going to cost to do all that work.” He says it’s always a fine calculation, but the bottom line is, spending more won’t always pay off. There is a point of diminishing returns. “Don’t put in a pool,” Jonathan says. “You’ll never get the money back.” That’s just for starters. Exactly what to polish or replace is another question you’ll want to talk out with your real estate agent. You may need as little as a fresh coat of paint in all the rooms, as opposed to a total kitchen gut. Plan your budget, and then prepare to go over budget. This means you’ll need to be prepared with ample savings. How? “If you look at the Property Brothers series, every single homeowner has a different story,” Drew says. “Some homeowners come through with financing, home credit loans, borrow from family.” There are even government grants for home upgrades. Drew recommends working with a financial adviser with a special interest in home renovations. Getting a quote is free, so ask for quotes so you can compare them and get an idea of what the going rate is for various jobs. Keep this in mind, though: “The cheapest quote is not necessarily the best one,” says Drew. You need to go in understanding the whole renovation process, so read up before you get started. Definitely don’t tell a contractor that you don’t know anything because they’ll pad the price. Know which questions to ask. “We like to raise the bar with all our designs by educating the audience about the local culture,” Drew says. He recommends looking at some of the well-restored homes in your area to notice any special design elements or styles. In New Orleans, the brothers toured the city and visited local businesses, including one that creates lanterns. They took inspiration from reclaimed woodwork. “Do a little research online and find out what the traditional culture is in your city,” he suggests. Jonathan lays it on us straight: “Nobody can renovate a home at the same price and on the same timeline we do. I don’t charge for my time and we get price cuts and discounts.” The crew works overtime to get projects completed by the deadline in order to fit into a television schedule. So while you can pick up tips and inspiration from the show, don’t base your budget and timeline on what you see on the show. Do your homework to find out what makes the most sense given your time and resources. Brothers Take New Orleans premieres Wednesday, Nov. 23 at 9/8c on HGTV.